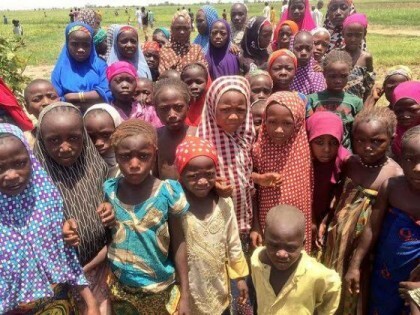 The UNICEF is assist in educating 501,574 out-of-school children (OOSC) in four northern states, by the year 2020, an official disclosed on Sunday. The Sokoto State project Coordinator of the UNICEF-funded Educate-A-Child (EAC) project, Dr Yahaya Maiyama, disclosed this in a meeting with stakeholders on the project in Sokoto. Maiyama said that the children would be drawn from Sokoto, Katsina, Zamfara and Kebbi States. Maiyama said that the meeting was aimed at disseminating the results of community mapping and household listing of OOSC to key stakeholders in the state. “Our aim is to have more OOSC being enrolled into schools. As such, we are targeting three local governments areas each in Sokoto, Katsina and Zamfara States while nine local government are to benefit in Kebbi state. “This selection was done based on the needs and the number of OOSC in the areas, as over 60 per cent of OOSC in Nigeria are in the Northern parts of the country. “Moreover, about 70 per cent OOSC were affected because of poverty and socio-cultural factors among the community,” he added. Maiyama also added that the project would increase access for the children and improve quality of teaching as well as learning environment in target states. In his remarks, the Sokoto state Commissioner for Basic and Secondary Education, Dr Jabbi Kilgori, said the state government was fully committed to ensuring that no child is left without education. Kilgori, who was represented by the Director of Basic Education in the ministry, Alhaji Abubakar Sabo, said the state would continue to establish more schools in order to accommodate all OOSC in the state. “This is as well to boost the standard of education and facilitate increased enrollment in schools, for the development of the educational sector of the state,” he said. The commissioner commended UNICEF for choosing the state to benefit from the project and called on the benefiting communities to judiciously utilize the opportunity by sensitizing the people on the importance of child education.